Six months after the family judge decision, on October 7th, 2008 my appeal to the family judge was denied, Chloe needs to stay in Mexico. On October 28th 2008 I filed an ”Amparo”. I am appealing the family judge decision in the Mexican federal court. 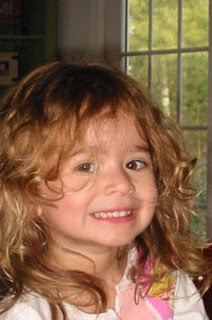 A Federal judge was assigned to Chloe’s case mid November 2008. 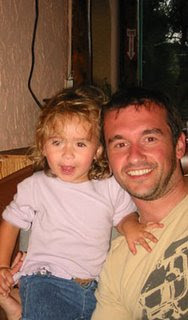 In March 2009 the Federal judge overruled the family judge decision and ordered the return of Chloe to the USA as soon as possible. This decision was appealed by the kidnapper to the Mexican Supreme Court. In June 2009 the Mexican Supreme Court made its final verdict. They ordered the return of Chloe to the USA. I have been working for three agonizing years to finally be able to read that sentence. This decision will help future cases of parental kidnapping in Mexico to be resolved. Thank you for all involved in that result. 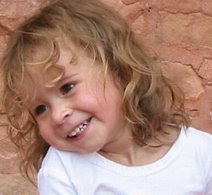 Chloe was ordered to be returned to the USA by the Mexican Supreme court on June 2009, and still Chloe is not back home. The kidnapper has been hiding Chloe from US law and now Mexican law since June 2009. This is Chloe Combe Rivas, my beautiful and loving little girl who was abducted by her non-custodial mother on March 15, 2006 across an international border to Mexico. Chloe at that time was 2 ½ years old. Chloe is a U.S citizen, born and raised in Kansas City for the first years of her life. Her mother Aline Rivas Vera (referred in this letter as the kidnapper) is a Mexican citizen who was in the U.S. on a student visa at Park University in Parkville, MO. My name is Didier Combe and I have lived in Kansas City since 1991. I was born in France and I am a U.S citizen. I settled in Parkville while opening my restaurant, Café Des Amis in 2000, and I am Chloe’s father. I was granted full legal and physical custody of my daughter Chloe in 2006 by the Platte county circuit court in Missouri. The kidnapper failed to appear at any of the hearings which were set up prior to the abduction. CLASS D FELONY PARENTAL KIDNAPPING filed on May 9th 2006 by the Platte County prosecuting attorney. CLASS E FELONY filed on June 27th 2006 indictment by the grand jury in the United States district court for the western district of Missouri western division. A FEDERAL WARRANT FOR THE ARREST OF ALINE RIVAS VERA filed on June 20th 2006 by the United States of America. INTERPOL FILED A RED NOTICE (“To seek the arrest or provisional arrest of wanted persons with a view to extradition”) against Aline Rivas Vera. INTERPOL FILED A YELLOW NOTICE (“To help locate missing persons, often minors, or to help identify persons who are unable to identify themselves”) for Chloe. I have been working closely with the U.S. State Department, the FBI, and the National Center for Missing and Exploited Children, www.missingkids.com out of Missouri, where Chloe has been listed as a missing child since March 2006. In the past two years I went many times to Mexico to meet with the Mexican central authorities who are working with the US State Department, and Mexican family court. I have been represented by a lawyer in Mexico City since October 2006. Her maternal grandmother (kidnapper’s mother), maternal uncles (kidnapper’s twin brother and younger brother), paternal grandparents, paternal aunt (my sister), paternal and maternal cousins, friends and myself her father. I filed a Hague application with the US State Department on April 2006. The Hague Convention was signed by sixty eight countries in the world. Here is the definition and job of the Hague as stated on the US state department web site. Mexico has signed the Hague Convention Treaty in 1991. Still Chloe is not back . In Mexico numerous attempts were made by the Mexican government to serve the kidnapper so the case could move in front of a judge. It took over one year to happen because of the kidnapper’s hiding. When finally the kidnapper was brought to court in front of a Mexican family judge, the process was stopped by the kidnapper three times for a total of eight months of appeals; All were denied by a Mexican federal judge. Beside my process to recover Chloe in Mexico, the kidnapper filed for full custody of Chloe in front of a Mexican family judge. This request was denied. Both the kidnapper’s mother and twin brother went to Mexico City several times to make deposition in favor of Chloe’s return to the US against the kidnapper. Both were part of Chloe’s life before she was kidnapped and they will be part of her life upon her return to the US. Both have no news of the kidnapper . Finally a decision was made on April 24th 2008 and the judge declared that Chloe should stay in Mexico. None of the reasons shown by the kidnapper were valid according to the Hague convention, and that was confirmed by the family judge in his verdict. The family judge made his decision stating that Chloe now was used to living in Mexico so she should stay in Mexico, regardless of the international law that this case falls under. This is a wrong decision that I am appealing. I am not the only one this is happening to. There are hundreds children kidnapped in the U.S every year by the non-custodial parent. Drastic measures need to be taken to rectify this issue that affect thousands of families in the U.S.
On March 15th 2006 my life was shattered. I have spent every day of the past two years trying to get Chloe back with her whole family. I have given all my time and finances for Chloe’s safe return here in the U.S.
We need Chloe back in the U.S where she belongs. Pressure needs to be made by the international community upon Mexico to follow international law.